This text doesn’t want to make history, but rather relate a few facts we experienced first-hand that led to and followed several disruptive innovations in the field of Medicine, Hepatology, Immunology, Virology, Oncology and Molecular biology. Some facts and figures. Chronic liver disease and hepatocellular carcinoma are the seventh most common cause of death in Europe, eighth in Portugal. Viral hepatitides are the seventh cause of death in the World. Hepatitis B and C are oncogenic viruses, currently affecting around 330 million around the world. In Portugal, chronic liver disease is the fifth cause of early death. The risk of hepatocellular carcinoma in patients with cirrhosis is 10-40% after 10 years. 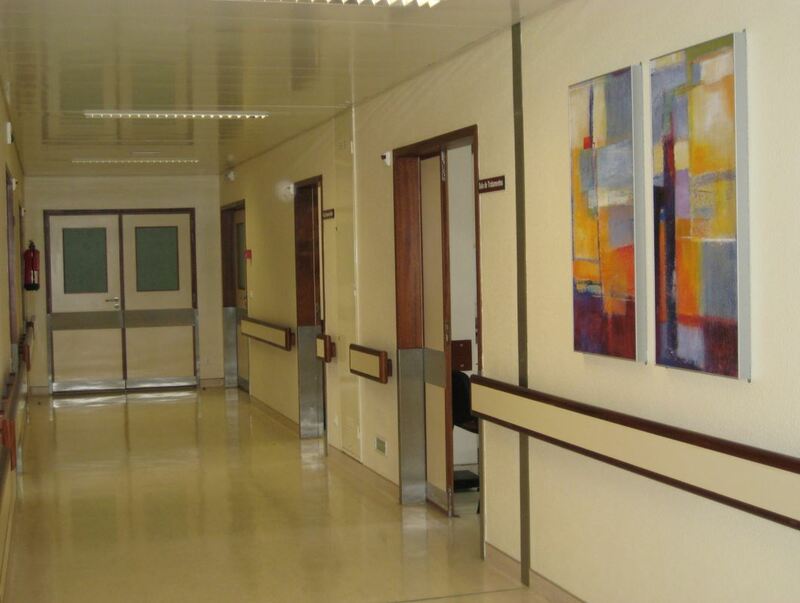 In 1986, University Gastroenterology Clinic, at the time integrated into Medical Service 2, was recognised as one of the best gastroenterology units in Portugal, not to mention the most eclectic and complete. The choice of Santa Maria Hospital was therefore a reliable and deliberate one, supported by Prof. Tomé Ribeiro, Director of the Gastroenterology Department/Unit of the São João Hospital, and my uncle. Two well-known professors from the Faculty of Medicine were preponderant names in that Department, Prof. José Pinto Correia and Prof. Miguel Carneiro de Moura. The liver was a mysterious organ, but it was said in Portugal that Prof. Carneiro de Moura was passionate and enthusiastic about this somewhat mysterious and mystic organ. On the other hand, the brand image of the School of Medicine and the Central University Hospital was also a deciding factor when choosing, despite knowing things would not be easy, on the contrary. 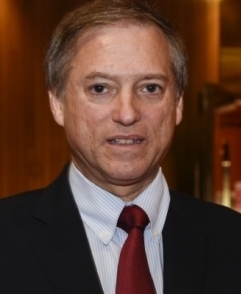 By pure chance, from an early age I remained connected to Prof. Carneiro de Moura and his team, led by Dr. António Saragoça, also one of Portuguese pioneers of modern and structured hepatology. I remember well his studies on the hepatic (angiosarcoma) and fatal consequences of Thorotrast used by the school named after our Nobel Prize winner, Prof. Egas Moniz. On the third year of Specialisation, I chose the liver. I had the opportunity to attend meetings of the so-called “Clube do Fígado”, or “Liver Club” where topics like liver transplantation were discussed. 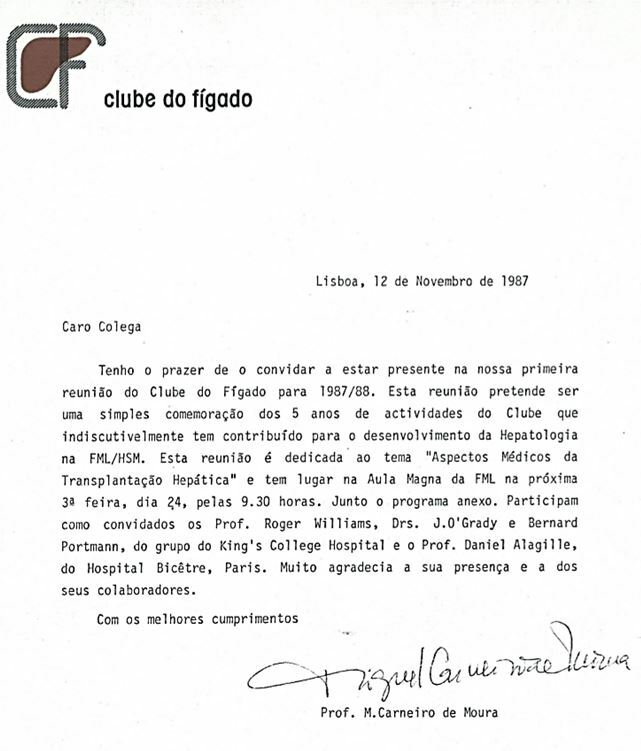 An invitation from “Clube do Fígado”, or “Liver Club”, for a meeting about liver transplantation, 1987. Dr. Eduardo Barroso, after an internship abroad, returned feeling enthusiastic about the possibility of performing it in Portugal. He had multiple contacts with major names in international hepatology, like Prof. Sheila Sherlock and Prof. Roger Williams, with whom we learnt a lot visiting their departments in the United Kingdom. At the time, Prof. Carneiro de Moura put me in charge of the planning and coordination of vaccination against hepatitis B of the hospital staff and all the students of the Faculty of Medicine. Without internet, without e-mails, without mobile phones. It was possible to lead blood sampling, marker results, the administration and control of doses. Over several years, more than five thousand students and health professionals were vaccinated. Card delivered to those who got vaccinated for efficiency control and documentation of vaccination dates. Dimensions similar to those of a credit card. It was the first time we faced the challenge of organising and leading a global program and studying in detail an important liver disease, with potentially serious and fatal consequences. The “cycle of liver disease” varies a lot and has many sides: acute hepatitis, chronic hepatitis, cirrhosis of the liver, decompensated liver cirrhosis (ascites, jaundice, encephalopathy, haemorrhagic episodes, etc. ), hepatocellular carcinoma, liver transplant, palliative care, and, lastly, “end of life”. Complexity and variety of clinical forms of liver disease. At the time, nobody talked about NASH (Non Alcoholic Steatohepatitis, PCR (Polymerase Chain Reaction), there was no liver transplantation in Portugal, Fibroscan still hadn’t been discovered (transient liver elastography that almost replaced liver biopsy), and hepatitis E still hadn’t been identified. All of a sudden, out of nowhere, on April 21, 1989, two articles only five pages long were published, in the journal Science. 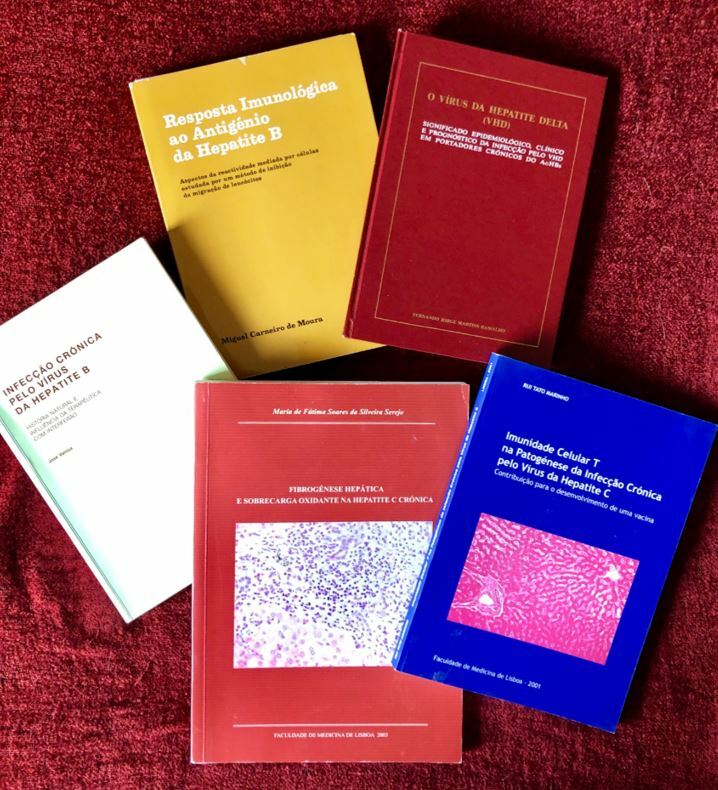 These five pages revolutionised the world of viral hepatology and medicine: the hepatitis C virus was identified through studies on chimpanzees infected with the NANB virus and, at the same time, the first diagnostic tests (anti-HCV) were made available. Until then, this virus was known as non-A, non-B hepatitis (NANB). The unit had put together, a long time before, a serum bank. Thanks to that, it was possible to test patients with chronic hepatitis, hepatocellular carcinoma, and drug addicts. 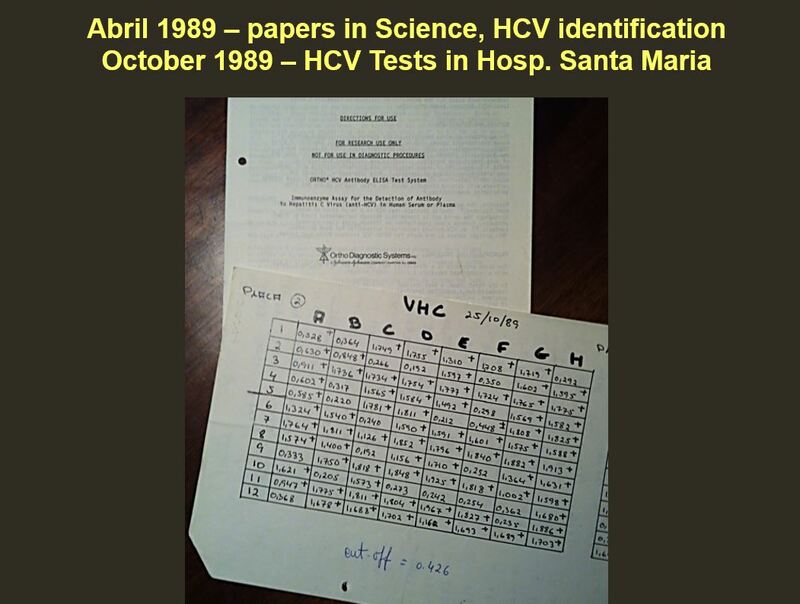 We were the first in the world to use tests to detect anti-HCV in our laboratory (located in the Gastroenterology Archive that belongs to the Gastroenterology Centre), obtaining the first results in October 1989, six months after the publication. I’m eternally grateful, dear Alice! Laboratory of the University Clinic of gastroenterology on the 2nd floor (photo taken in 2000). One of the first and biggest advantages of this achievement was providing safer transfusions. Anti-HCV was introduced in 1992, in tests for blood donations, making transfusions safer and eliminating post-transfusional hepatitis C. It was the first project of micro-elimination of hepatitis C.
On the other hand, the diagnosis of chronic hepatitis, cirrhosis and hepatocellular carcinoma associated to hepatitis C became necessary. Another big advantage was the development of the first sero-epidemiological studies: on haemodialysis, blood donations, drug users, and the general population. 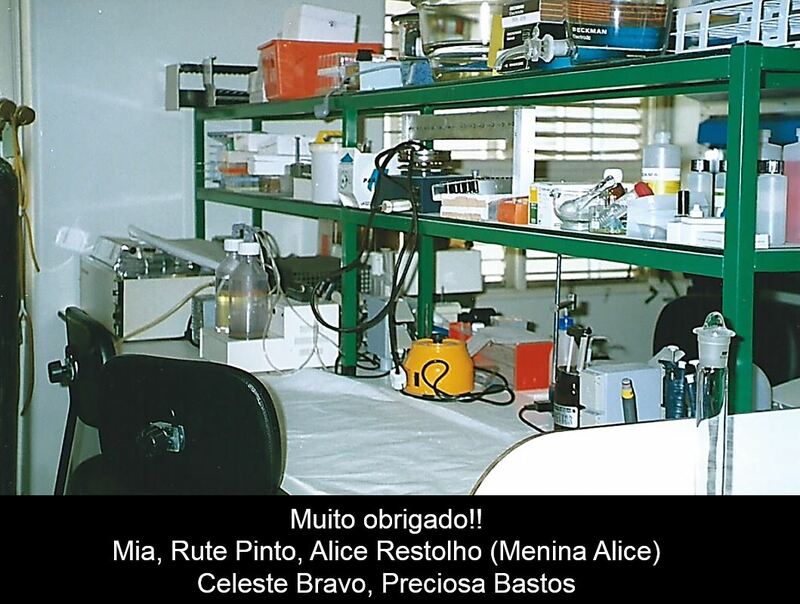 In relation to drug users, at the time called drug addicts, it was easy to reach a reliable estimation, because we had created the serum bank, with the precious help of dear Alice, and thanks to a collaboration between Prof. Fernando Ramalho and psychiatry consultation. The first results revealed a prevalence of 83% in intravenous drug users. Copy of the record sheets of the first tests for detection of the anti-HCV antibody. The department published several articles, some in Acta Médica Portuguesa, revealing the first data on the seroprevalence of anti-HCV in this group. We could say that we were about to face an epidemic of hepatitis C among drug users. 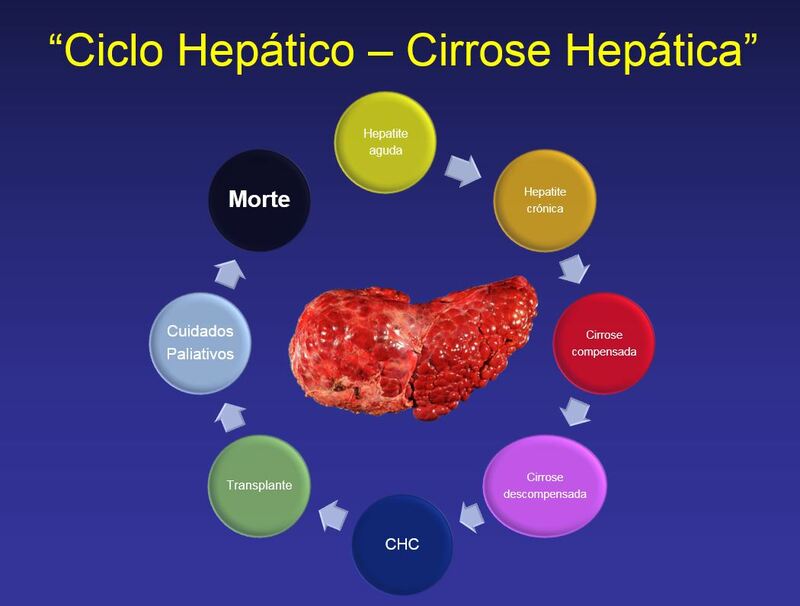 Hepatologists were always aware of the future impact of this infection in this population at risk, with regard to an increase in the number of cases of liver cirrhosis, hepatocellular carcinoma, liver transplantation, and costs associated with hepatitis C treatment. Precisely in that period, in 1991, the Hepatology Unit was created, with nine beds, on the 4th floor, headed by Prof. Fernando Ramalho. Hepatology Unit, established in 1991, on the 4th. The Hepatology and Viral Hepatitis Appointment was established in 1989, curiously enough the same year in which the hepatitis C virus was discovered. This “hepatological” atmosphere was reinforced during several meetings held by the so-called “Clube do Fígado”, or “Liver Club”, along with many postgraduate training meetings and other national and international meetings. 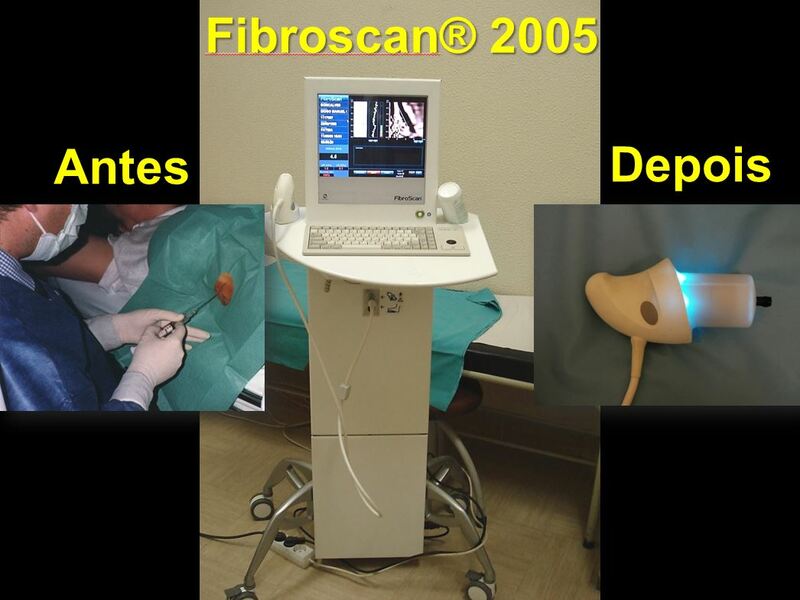 2005: Fibroscan®. Did liver biopsy die? In 2005, Prof. Carneiro de Moura bought a liver elastography device – also known as Fibroscan®,-for the Department and revolutionised the practice of hepatology. Change of paradigm in the evaluation of fibrosis and liver cirrhosis with transient liver elastography (Fibroscan®). Liver biopsy almost disappeared, especially in the field of hepatitis C. This exam, based on the use of an ultrasound beam, allows evaluating the degree of hepatic fibrosis in approximately two minutes and in a non-invasive way, through ten “strokes” in the liver area. The acuity of the diagnosis of cirrhosis is in approximately 80%, similar that of liver biopsy. In 2007, we published two articles in Jornal Português de Gastrenterologia on the department’s data. We were the first centre in the country, and one of the first in the world, to use this device, which gave us the opportunity to get closer to the Brazilian hepatologists (where it was introduced later). Over several years, we had 15 colleagues coming from cities like São Paulo, Rio de Janeiro, Brasilia, Manaus, and Salvador. Also in 2005, issue 23 of the journal of the Portuguese Medical Association published an article with a proposal for the “National Hepatitis C Action Plan”, with three fundamental pillars: inform, prevent and treat. That is, in fact, what we have been doing in our sphere of action. In 2010, in Lisbon, there was a meeting of a group of specialists from the Viral Hepatitis Prevention Board, of which we have been members since 2008. In brings together international personalities who dedicate themselves to prevention and epidemiology, some of them members of the World Health Organization, the Centres for Disease Control and Prevention, in Atlanta, and the European Liver Patients’ Association. The meeting was attended by 60 health professionals, including the then Director-General of Health, Dr. Francisco George, who were responsible for 25 presentations about all viral hepatitides in Portugal. It also resulted in a publication, which is available on the internet (www.vhpb.org). The meeting was named “Burden and Prevention of Viral Hepatitis in Portugal”. Since 1988, we had been witnessing a progressive growth of efficiency in hepatitis C treatment, thanks to the use of several drugs: the first Ribavirin tablets appeared in 1995 and pegylated interferon (only one weekly injection) appeared in 2005. At the time, the estimated efficiency was 45% in genotype 1 and 70-80% in genotype 3. The treatment, which had many side effects, lasted 24 to 72 weeks. One of the most important aspects of our department was that we had a psychologist available during hepatology appointments since 2000, because one of the side effects was affecting the neuropsychiatric sphere. Since 2007, we relied on a great support from Dr. David Barreira, who sees the patients in the same room as our team. In 2011, two new drugs for oral use appeared, Boceprevir and Telaprevir, to be used in conjunction with Interferon and Ribavirin. It was the time (2011 to 2014) of triple therapy. The efficiency increased once more, to nearly 70 to 80% in genotype 1. We were the hospital that treated more patients in Portugal: around 120. However, the costs and the fact that the drugs were difficult to use (Boceprevir was used every eight hours, with a load of more than four thousand tablets, many side effects, including the risk of death in 1-2%) hindered its widespread use. In 2011, the Department (Prof. José Velosa) published an article in the journal Digestive Diseases and Sciences, which confirmed the high level of benefit associated with the use of the therapy in the reduction of the risk of hepatocellular carcinoma. In 2013, there was an opportunity to carry out clinical trials with new oral drugs that dispensed with the use of Interferon and, later on, Ribavirin. We managed to integrate 16 patients into three clinical trials. Everybody was cured. Early on, we realised that there were no side effects and how quick these drugs (Paritaprevir/Ombitasvir/Dasabuvir) were, because after one week of treatment, the viral load was minimal, almost negative. We managed to participate in two publications in the New England Journal of Medicine, in 2014, in the 4th and 7th places. Between 2011 and 2014, this journal, with the greatest impact in the world, published almost 40 articles about hepatitis C. The team for these trials included 25 professionals, from the laboratory (Abbvie) itself, the coordinator (Célia Guterres), nurses, clinical pathology technicians, pharmacists, etc. The innovation was disruptive, the drugs were too expensive at first and the involvement of the country was very strong: patient organisations (GAT, SOS hepatitis, with Luís Mendão, Emília Rodrigues), patients (“champions” like Karen, Zé Pedro, from Xutos and Pontapés), Infarmed, the media, hospitals, the Assembly of the Republic, the Ministry of Health, the Directorate-General for Health, the pharmaceutical industry, the Portuguese Medical Association, the College of Hepatology, the Portuguese Society of Gastroenterology (José Cotter and Leopoldo Matos), the Portuguese Catholic University (Ricardo Baptista Leite), among others. The Assembly of the Republic was crucial on three occasions: it received us in the Health Commission on February 5, 2014, the deputy Nuno Reis, accompanied by Rui Tabosa, visited us in our department, and approved a draft resolution (8/2014) that called on the government “to reinforce the measures for an integrated approach to liver disease”. This proposal was presented in a plenary session and approved by 96% of the deputies present. Finally, in February 2015, on prime-time TV news, José Carlos Saldanha, in the Health Commission of the Assembly of the Republic, in a very emotional way, asked the Minister Dr. Paulo Macedo to make the drugs available to all the patients. That happened a few days later, and turned Portugal into one of the first countries in the world to provide its patients, without apparent restrictions, with DAAs, direct-acting antivirals. The electronic portal of the Infarmed, exceptionally managed by Dr. Jorge Rodrigues, highlights that, today, more than 20 thousand Portuguese infected with the disease are covered, with a cure rate of 97%. There is no parallel in modern medicine. Twenty thousand Portuguese represent a lot more, if we consider the relatives and friends of those infected. Progression to cirrhosis, cancer and the need for transplantation decreased significantly. Oral medication was approved in February 2015, to all the Portuguese infected with the disease, regardless of the degree of fibrosis, and the costs are fully paid by the Portuguese State, following an agreement with Gilead. The benefits of the treatment and elimination of virus, which occurs definitely in 97% of the patients treated with first-line drugs, are multiple. We quantified 25 (physical, psychic, social and public health-related) in one of our articles published in the World Journal of Gastroenterology. Today there is a second-line drug that we are already using in our hospital which allows us to treat the 3% who don’t respond at the first attempt. 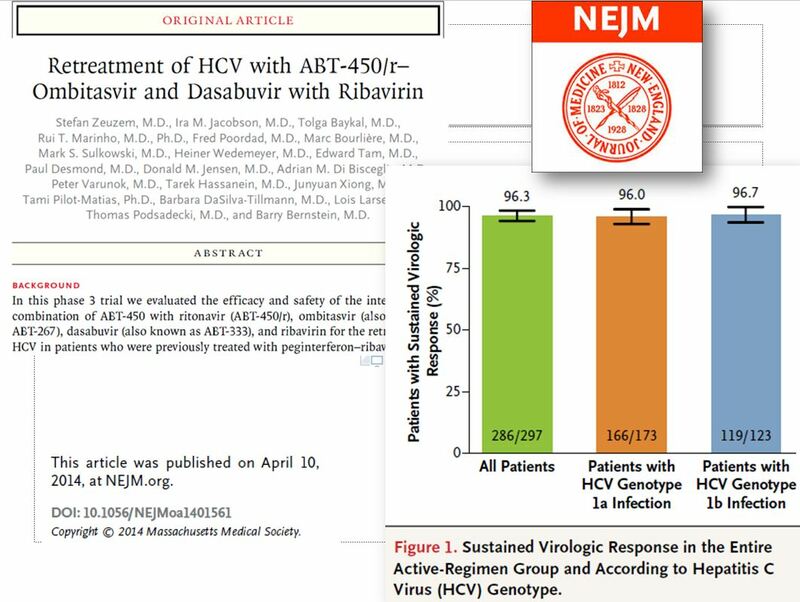 Over the past decades, the department has published, in the area of hepatitis C, around 30 articles in major general international journals about gastroenterology and hepatology: two articles in The New England Journal of Medicine (4th and 7th author) (Figure 8), Gastroenterology, Journal of Hepatology, Liver International, The Lancet Gastroenterology & Hepatology, World Journal of Gastroenterology, Journal of Viral Hepatitis, Annals of Oncology, The American Journal of Medicine, Clinical Gastroenterology and Hepatology, Journal of Clinical Virology, Digestive Diseases and Sciences, among others. Future challenges, which are current: promoting the importance of being tested for hepatitis C (anti-HCV) at least once in life, continuing to follow-up on patients with cirrhosis who are “cured”, due to the risk of hepatocellular carcinoma, and treating those who we know are infected as soon as possible. It is our duty as citizens and an ethical and social responsibility. The Service formed a multidisciplinary team (C-Free Team), under the coordination of Dr. Paula Ferreira and D. Célia Guterres, with the collaboration of nurses Elza Alpalhão, Isabel Tavares, Cátia Silva and Liliana Tavares and physicians Filipe Damião , Ricardo Crespo, Margarida Sobral Dias, Patrícia Santos, Sónia Bernardo, Carolina Simões, among others. We have been working with several institutions: Lisbon Prison Establishment, “Ares-do-Pinhal”, “Crescer”, “Centro das Taipas”, “Vitae”, “Vida e Paz” Community, “GAT”, Lisbon City Council. Article published in the New England Journal of Medicine in 2014. Our department treated more patients than any other in the Country, not only with triple therapy, but also with the new direct-acting antivirals. The passion and enthusiasm of the School’s founder, Prof. Carneiro de Moura, brought along many other members: with the exception of liver transplantation, in the past 40 years, we have always had access to every innovation in the area of viral hepatitis. Five PhDs, two in hepatitis B, two in hepatitis C, and one in hepatitis Delta. Covers of the five PhD theses. 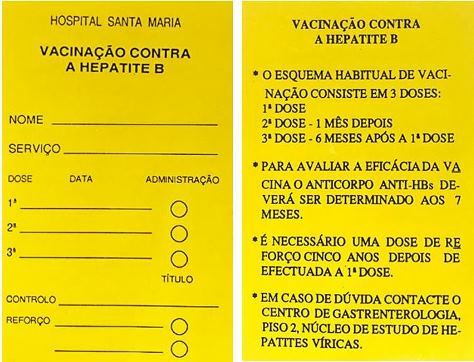 The first one, completed in 1974 by Prof. Carneiro de Moura, a few years after the identification of hepatitis B virus, was entitled “Immune Response to the Hepatitis B Antigen”. From the scientific point of view, we can highlight several activities: the strong presence in national and international scientific societies. Six members of the Department as presidents of the Portuguese Association for the Study of Liver and the Portuguese Society of Gastroenterology. 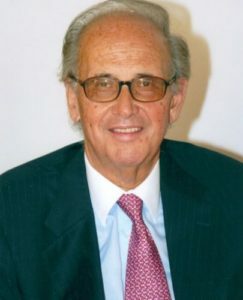 Prof. Carneiro de Moura himself organised two international meetings of the European Association for the Study of the Liver, the previously mentioned presence in international clinical trials, the presence in the creation of the subspecialty of hepatology by the Portuguese Medical Association in 2005, more than 30 articles published in international journals, the presence in Consensus meetings, in guidelines and guiding principles, access to diagnostic tests and to innovative drugs, etc., etc. All under the aegis of the Faculty of Medicine of the University of Lisbon and the Santa Maria Hospital. As a matter of fact, all their managers during these four decades made the task easier and created conditions of stability and sustainability that allowed patients with viral hepatitides to have access to the best that was being achieved nationally and internationally, with the exception of liver transplantation. Tools For Innovation in Health – Come and break some new ground with us! E se estivesse ao seu alcance salvar a vida de alguém?